Portuguese Heritage Publications of California in partnership with Fundação Luso-Americana (FLAD) are pleased to announce the release of their publication: California’s Portuguese Politicians – A Century of Legislative Service, scheduled to be released to the general public in late Fall of this year. The publication is currently in print stage. Some segments of our readership may find the subject of this book to fall short of the level of interest raised by prior publications of our well known Heritage Collection. 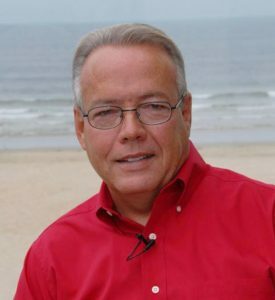 After all, politics and politicians carry with them an undeniable stigma, particularly considering the current heavily partisan and polarized national political environment. 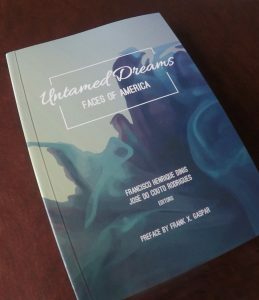 Painstakingly cognizant that every decision carries with it inherent risk, Portuguese Heritage Publications of California and Fundação Luso-Americana (FLAD), have taken an important step to capture and document this lesser known but not less fascinating aspect of the Portuguese immigrant experience in California. We believe that to gain insight into the awareness and commitment of a community toward its civic responsibilities, one must understand the social force that binds the members of such community to specific courses of action. To understand a community in such a way is to understand its key motivators, its very social fabric. This book is but one step towards a broader discussion and understanding of Portuguese-American politics in California. California’s Portuguese Politicians – A Century of Legislative Service, is a limited edition and for this very reason we want to ensure that our longtime readers and supporters have the opportunity to acquire the book, prior to its release to the general public. To pre-order your book, go to: info@PortugueseBooks.Org, provide your email and mail addresses, as well as phone number and let us know the number of copies you wish to reserve, or call us at: 408-272-1222. You will be contacted in advance of the book’s availability to the general public, in order to purchase your reserved copy (ies). 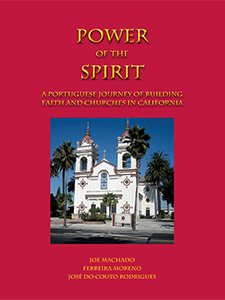 Portuguese Heritage Publications of California (PHPC) announced the release of its new book Power of the Spirit: A Portuguese Journey of Building Churches and Faith in California. Power of the Spirit, the latest work devoted to illuminating the history of the Portuguese in California, narrates the spiritual journey of the Portuguese immigrants in California who built many churches in their communities and of the clergy who lead them for over a century. It reveals how the Portuguese immigrants established themselves and prospered in the various areas of this immensely diverse state, with an insight into their spirituality as they planted roots deep into the American soil. Power of the Spirit documents the odyssey of a people and its courageous clergy in a conjugation of effort of epic proportions. Such effort was essential to their constructing of the many beautiful and inspiring Church buildings and supporting the clergy and religious who provided for the spiritual guidance to the Portuguese immigrant community dispersed throughout the vast Californian territory. Power of the Spirit, coordinated and researched by Joe Machado, Ferreira Moreno and José do Couto Rodrigues, has been several years in the making; through their efforts and those of dozens of volunteer researchers and photographers, this much anticipated publication is now available from Portuguese Heritage Publications of California. From the Church of Immaculate Conception, Hawkinsville, in the north, to the Church of St. Agnes, San Diego, in the south, this hard cover, deluxe edition, highly illustrated with many historic photographs tells the stirring history of this important solace for the Portuguese in California. At the core of the Power of the Spirit is the Catholic Church. The Portuguese, and especially the Azoreans, are among the most Catholic people of Europe, and the Catholic Church was the main pillar of the Portuguese community in the Old Country. Throughout the history of immigration to California, as soon as the immigrant survived the early trials of a new life, he quickly turned his resources to the one institution that could create a new equilibrium for him in America: the Church. Whether laymen or clergy, Power of the Spirit: A Portuguese Journey of Building Faith and Churches in California pays humble homage to the Portuguese pioneer immigrants and all they have done to enrich the spiritual lives of Californians. Given the fast approaching Holiday Season, Power of the Spirit is a great gift for family and friends, one they will keep as a reference for a long, long time. Books are now available for purchase online. Portuguese Heritage Publications of California, Inc. is a non-profit organization 501 c (3), created to research, preserve and disseminate vanishing memories and current relevant events about the Portuguese presence in California, for educational purposes.